React 16 Released — The final release of React 16 is here, with rewritten internals (a.k.a. Fiber), a new server-side renderer, and better error handling. React 16: A Look Inside React's API-Compatible Rewrite — A broader look at the principles behind React 16 and how we got to where we are now. Take the DIY out of your infrastructure — Spend less time configuring, so you can have more time building. 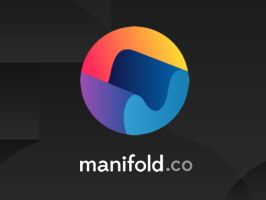 Manifold is the best way to add logging, monitoring, databases and more to your app. Essential services for applications that matter, made by developers that care. All clouds welcome. Facebook Relicensing React After Patent Concerns — There has been some long standing controversy over React’s license which involved some patent-related features. This will now be resolved as React is moving to a pure MIT Open Source license. What’s New With Server-Side Rendering in React 16 — A quick introduction to the new features in React 16 SSR, including arrays, performance, streaming, and more. Writing Server-Rendered React Apps with Next.js — Jatin Shridhar pushes through JS framework fatigue to introduce Next.js, a simple yet customizable solution to building production-ready SPAs. Write Less Code, Use More Tools — Our outrageous decision to orchestrate Nomad with Kubernetes. 7 Architectural Attributes of a Reliable React Component — Covering ideas like the single responsibility principle, encapsulation, composition, and reusability. react-native-firebase: A Firebase Implementation for React Native — A feature rich Firebase implementation for React Native, supporting iOS and Android.